Sometimes, even the shrillest yapping just won't do. 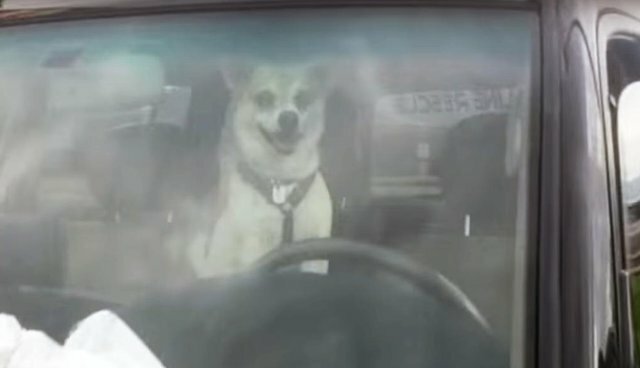 This clever chihuahua was able to find a very unmistakable way to air his grievances over being left all alone in a parked car. The offense of having to wait by himself was evidently enough to inspire the little dog to take out his frustration in the loudest way possible. From the looks of it, he knows exactly what he's doing. While this boisterous pup doesn't appear to be in any immediate danger, countless dogs suffer organ damage or are killed every year by being left alone in hot cars. Even when the weather seems mild outside, the temperature inside a vehicle can soar well into the lethal range. Find out what you should do if you see a pet trapped in a hot car.